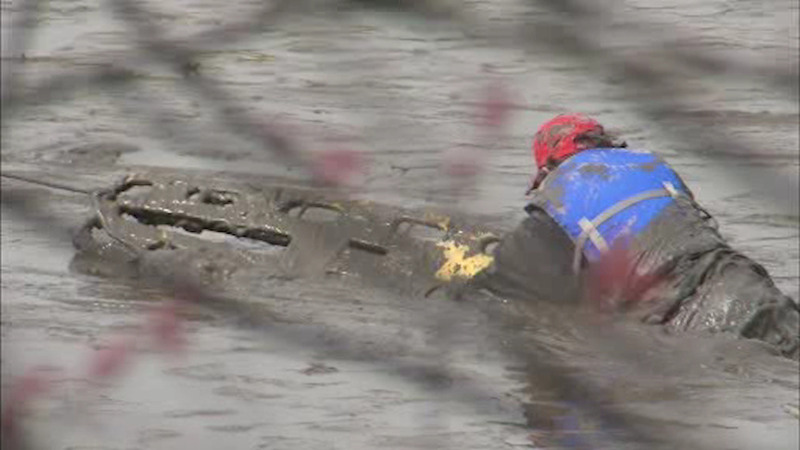 TEANECK, New Jersey (WABC) -- Rescue teams in New Jersey pulled a kayaker to safety after he got stuck in mud in the Hackensack River. The man got stuck past his waist after he either fell out or got out of his kayak and the tide went out. A woman in a nearby home spotted him and called police. Teaneck and Hackensack firefighters used rope and a board to pull him to a rescue boat.